“Technology changes, Humans don’t”, Deb Schultz. Well maybe humans don’t really change in some of their basics, but it is a fact that they evolve and lot! So does the web, that goes faster than any based technology and knowledge platform in the history of mankind. That is the most interesting fact about it. You will never get borred. I have been looking at some of it multiple trends. These trends represent a shift, or mutation, change in the web DNA. Thinking about that I have been working in some documents and research about the Current Challenges of Web: a search, social, mobile internet in fast technological mutation and evolution. 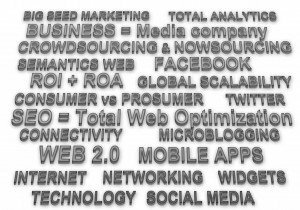 Big Seed Marketing, business as media, people as media, SEO becoming total web optimisation, an idea of a necessity of a global total analytics, the technology as a driver for the success and wealth of nations and corporations, crowdsourcing, nowsourcing, consumer versus prosumer, and so on… Please have a look and let me know of you think about it. take advantage of it. 5 million because of the issues they are facing with the government. If this process is dragged out beyond one year, the passenger is out of luck due to the statue of limitations. 1 and 2 to part 736 provide for certain General Orders and Administrative Orders. able to make a claim against the establishment.